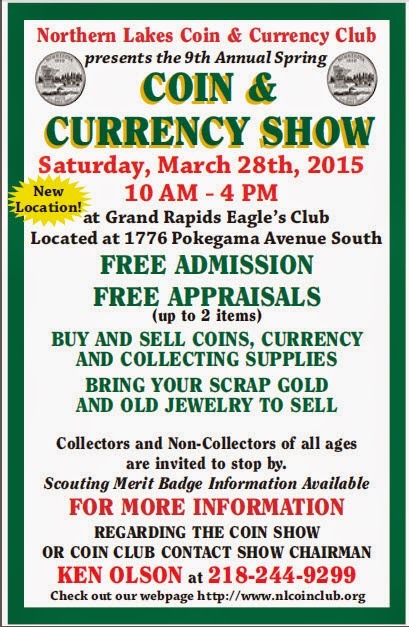 9th Annual SpringCoin & Currency Show on Saturday, March 28th, from 10:00 AM to 4:00 PM, at the Grand Rapids Eagles Club located at 1776 Pokegama Avenue South. Free admission and Free Appraisals (up to 2 items). Collectors and non-collectors of all ages are invited.